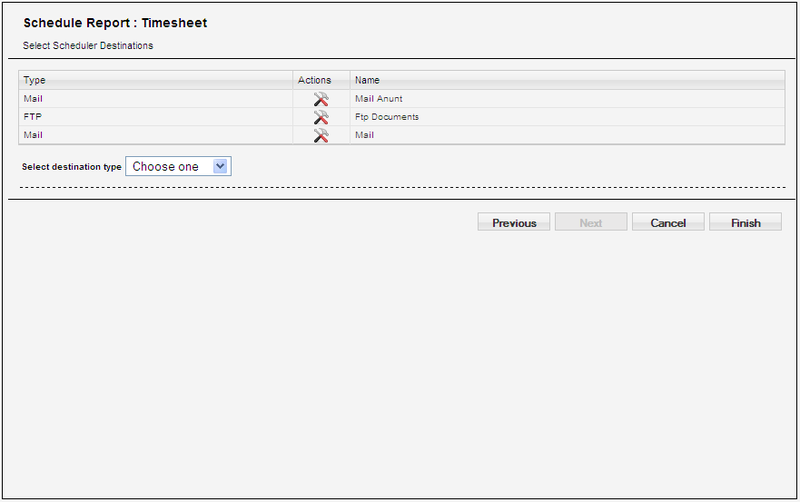 For versions until 2.4 , NextReports Server allows only mail distribution. 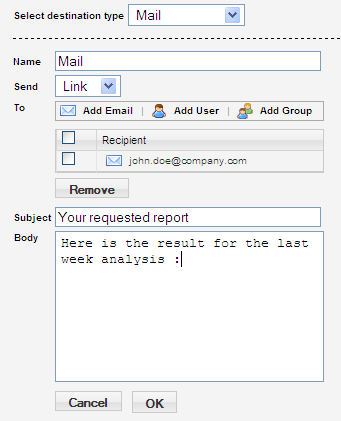 Generated reports can be sent through mail to a list of recipients. 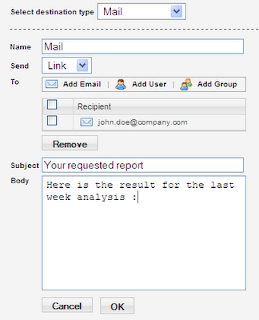 Mails can contain a link to generated report or the entire report as an attachment. For WebDAV, user can also specify if connection uses https. 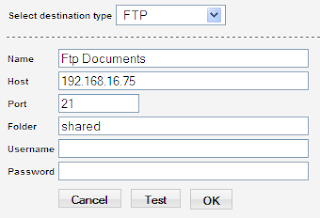 For Windows Share, in addition to FTP, user can optionally enter a domain property. 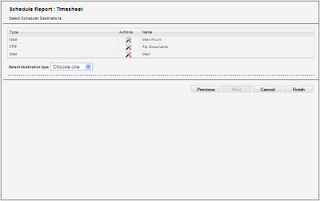 Destinations also have a Test button to see if they are valid.